Few could have colonised a role as comprehensively as David Suchet playing Hercule Poirot, that pedantic, fastidious figure of sleuthing fame created by Agatha Christie. Manner, affectation, and delivery all seemed immaculate, read, and even delightful. Invariably, this sort of thespian appropriation and adaptation creates its hordes of admirers, zealots who refuse to accept rivals, pretenders, or usurpers. Kenneth Branagh, to that end, was always on a hiding to nothing taking on the task of re-creating Poirot, even if dramatic roles can never be patented. Things, in other words, were always bound to go wrong, in some sense. If not how Branagh portrayed it, then the why of it. Murder on the Orient Express seems, at first glance, to be a considerably overly egged pudding. Veteran actors come at you from all sides (Johnny Depp, Michelle Pfeiffer, Willem Dafoe, Judi Dench), and at times, the film resembles a major actor’s grand reunion. The same could also be said of the 1974 production by Sidney Lumet: Ingrid Bergman, Lauren Bacall, John Gielgud, and Sean Connery. If only that lesson had been learned a bit more avidly, not least of all than by Branagh himself, who wished to avoid letting his actors think of the material as a case of “theatrical pantomime”. The analytical cool steeliness of the Belgian detective shades into self-reflection and moistened emotion. Close-up shots feature tear ducts welling up. He reflects; he ponders; he anguishes over the murder in the Calais coach. Some of this is openly derived from Branagh’s own Shakespearean take on “the poison of deep grief”, something which he reads into Christie’s work much unjustified enthusiasm. It is not quite true to claim, as Anthony Lane in The New Yorker does, that there is nothing to desecrate here. However much one is impressed or, for that matter, unimpressed by Christie’s work, effort is still called for. Some thought might have, by way of example, been given to get the scenery, suspended as an infuriatingly sterile animation, accurate. The sense of the inauthentic permeates the whole show. The book commences in Aleppo, though Branagh’s Poirot finds himself in Jerusalem, swiftly moving to Istanbul. Viewers familiar with the landscapes will find the blemishes of geography a bit hard to take at stages of the journey. Perhaps this is Branagh’s point. 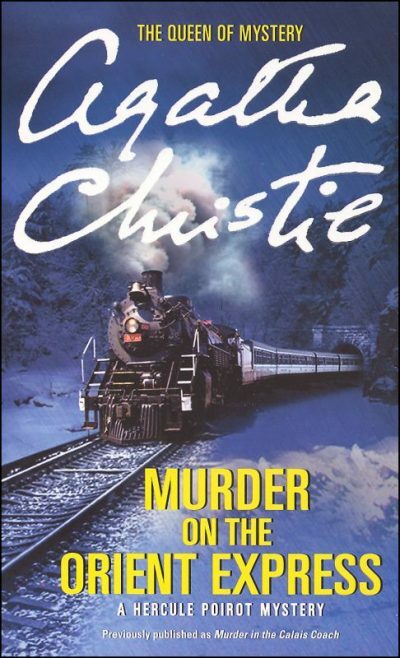 He is showing fidelity of sorts – after all, Christie was accused of improbable plot lines and a sequence of miraculous discoveries by her sleuths. This was the line of writing that irked Raymond Chandler, whose The Simple Art of Murder remains both a treat and a weapon against that generation of the fabulous and the confounders. The film also throws in odd moments of cinematography. On the big screen, the viewer becomes squeamish at certain angles of filming. As part of this optical license, the victim, from above, is only shown after an initial conference, stab wounds revealed like evidence of a ceremonial sacrifice. The freedom taken in some instances suggests, ironically enough, a limitation. Branagh wishes to remain politic and contemporary, a point that leads to such improbable insertions as black soldiers in the then Kingdom of Yugoslavia army. How those in the Balkans will chuckle. No one, then, can fault Branagh on attempting such a project. Murder mysteries sell. Christie affords rich material to adapt, an eternal mine to sort through and reimagine. But this is one occasion where a few more stumbles might have been avoided.